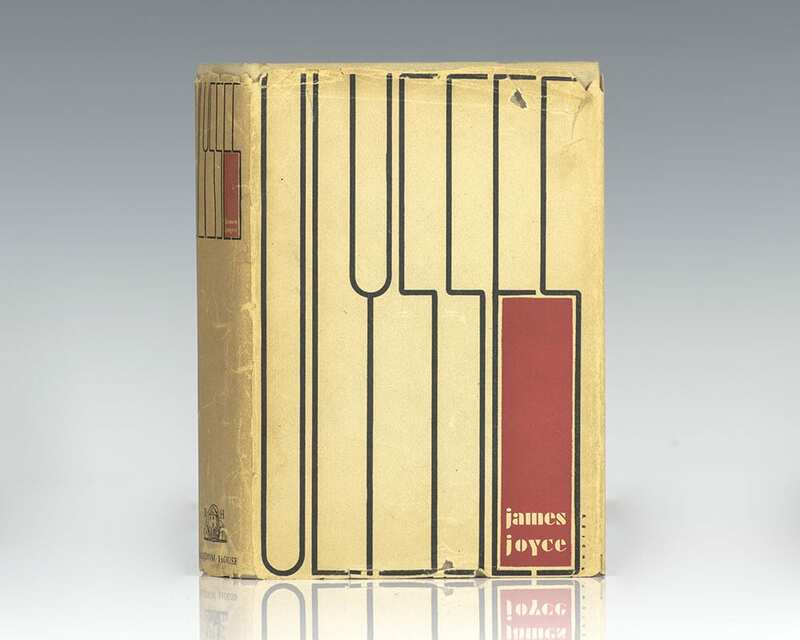 "Within a month of the publication, the first printing of Ulysses [Shakespeare and Company, Paris, 1922] was practically sold out, and within a year Joyce had become a well-known literary figure. Ulysses was explosive in its impact on the literary world… Then began the great game of smuggling the edition into countries where it was forbidden, especially England and the United States. The contraband article was transported across the seas and national borders in all sorts of cunning ways" (de Grazia, 27). In this edition, the text of Joyce's great work is preceded by a foreword, synopsis of the District Court decision, and letter from Joyce to his publisher, Bennett Cerf, all discussing the extraordinary controversy surrounding the book's publication. In 1929 an unauthorized American edition of the novel appeared, a piracy of the legitimate ninth printing of Shakespeare and Company. "This Random House edition was set up from the text of a copy of that [pirated] edition, incorporating most of its typographical errors and adding a few new ones" (Slocum A21). 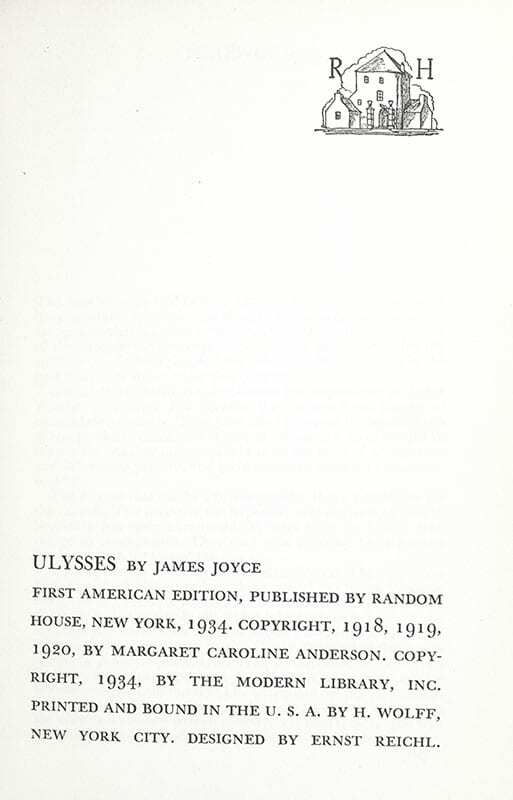 The United States' ban on Ulysses was not lifted until December 6th, 1933; one month later the first authorized American edition was delivered to the public. 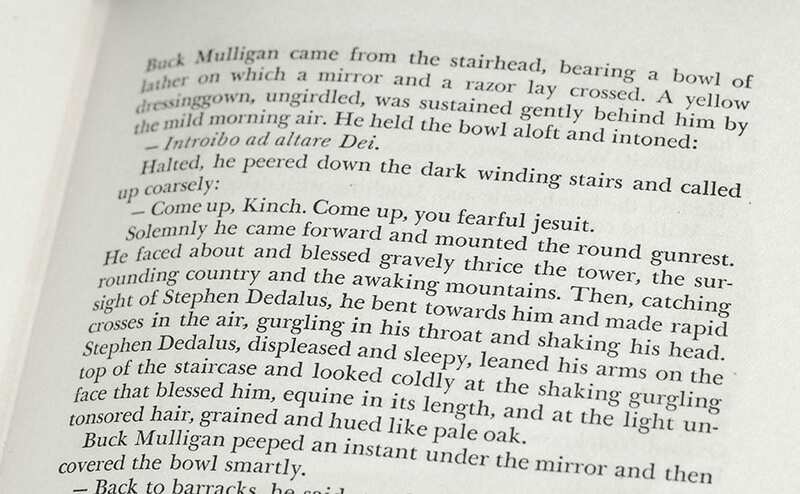 Joyce's "novel is universally hailed as the most influential work of modern times" (Grolier Joyce 69). 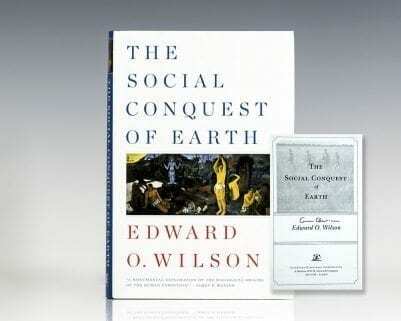 Named by Modern Library as one of the 100 greatest novels of the 20th century.